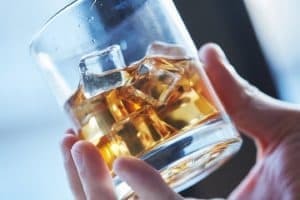 Home » A Guide to Addiction Detox & Treatment » Can You Die During Alcohol Detox? You can die during the alcohol detox process. The most severe complications typically result from grand mal seizures or withdrawal delirium. Alcoholism, or alcohol use disorder, is associated with numerous problems, such as health issues, financial strain, relationship distress, and legal consequences, all of which can severely impact a person’s quality of life. Acute alcohol withdrawal is a serious, sometimes-complicated process with significant health risks. Because of the potential dangers that present during withdrawal, it’s crucial to understand the importance of medical supervision and monitored care when detoxing from alcohol. Detoxification refers to the set of interventions designed to manage acute intoxication and withdrawal symptoms. Detox programs promote the safe elimination of toxins from the body, including alcohol. For many, detox represents the first “point of contact” with a treatment system, as it often marks the initial step to recovery or on the continuum of addiction care.8 While detox alone is no substitute for comprehensive substance abuse treatment, it provides the individual with assessment and stabilization needed to prepare both the body and mind for sobriety. Without professional intervention, detoxification will occur naturally, in a process commonly referred to as “quitting cold turkey.” The cold turkey method involves abstaining from drinking alcohol on their own after chronic consumption. Abusing alcohol can lead to the development of alcohol dependence. Physiological dependence develops as the body naturally adapts to the presence of alcohol. People who develop significant levels of alcohol dependence will experience withdrawal symptoms when they abruptly stop or slow their alcohol intake.4 Due to the emergence of these unpleasant symptoms, people may continue to drink to avoid or prevent them—a cycle that could contribute to the development of an alcohol addiction. Once addicted, a person will drink compulsively despite the negative impact on their life. Lifetime or long duration of alcohol consumption. Prior history of delirium tremens. Specific alterations of blood chemistry. In severe alcohol addiction, withdrawal can be risky and lead to death without appropriate monitoring and support. For instance, about 3 to 5% of people with alcohol use disorders experience grand mal seizures while withdrawing from alcohol.6 Without professional detox care, these seizures can be fatal. For this reason, it is best that you seek the evaluation of a medical professional before deciding to quit drinking, especially if you’ve been drinking large amounts of alcohol over an extended period of time. Your doctor can assess your risk of experiencing complicated or life-threatening withdrawal and will refer you to the appropriate level of detox care. How Many People Die During Alcohol Detox? Complications from grand mal seizures. Hyperthermia (dangerously high body temperature). Cardiac arrhythmias (irregular heart beat). While the numbers of deaths associated with alcohol detox are difficult to pinpoint, the risks of life-threatening complications are very real and need to be considered anytime an attempt to quit drinking is made. Alcohol withdrawal deaths can be prevented or reduced with proper medical attention and care. Professional medical detox programs accomplish this through close symptom monitoring and management of potentially fatal withdrawal complications. If you or a loved one is struggling with alcohol addiction, you are not alone, and help is always available. To find support, schedule an appointment with your primary care physician or a mental health therapist and receive a comprehensive evaluation. They can provide you with referrals to detox and substance abuse treatment programs they think will be most beneficial for you. U.S National Library of Science. (2017). Alcohol Withdrawal. Trevisan, L., Boutras, N., Petrakis, I., Krystal, J. (1998). Complications of Alcohol Withdrawal. Alcohol Health & Research World, V. 22 (N) 1. Mainerova, B., Prasko, J., Latalova, K., Axmann, K., Cerna, M., Horacek, R., Bradacova, R. (2015). Alcohol withdrawal delirium- diagnosis, course, and treatment., Biomed Papers Medical Facility University Palacky Olomouc Czech Republic, 159(1): 44-52. Schuckit, M. (2014). Recognition and Management of Withdrawal Delirium (Delirium Tremens). The New England Journal of Medicine. Verelst, S., Moonen, P., Desruelles, D., Gillet, J. (2012). Emergency Department Visits Due to Alcohol Intoxication: Characteristics of Patients and Impact on the Emergency Room. Alcohol and Alcoholism, V. 47(4, 1). Monte, R., Rabunal, R., Casariego, E., Lopez-Agreda, H., Mateos, A., & Pertega, S. (2010). Analysis of the Factors Determining Survival of Alcoholic Withdrawal Syndrome Patients in a General Hospital. Alcohol and Alcoholism, 45 (2), 151-158.